Official Planet Hockey Training Gear! Register between February 15 and April 20, 2019 and you can order official 2019 Planet Hockey training gear and have it custom sublimated with your NAME & NUMBER at no additional charge, and receive it by 5/20/19. Offer expires 4/20/19. Special - Includes YOUR Name & Number at no charge! For registrations received between February 15 and April 20, 2019. Note - Jersey will be delivered to you by May 20, 2019. Custom produced in Slovakia. Trade up to this Official 2019 Planet Hockey Custom Super Jersey for only $69 (this will be your camp jersey, please bring it with you to camp). Limited quantities. 30% off. * Approx. 50% of all campers will purchase this Custom Super Jersey. Sizing information above is approximate and is factored for players in their hockey gear. Goaltenders should go up 1-2 sizes to accommodate their goalie gear. Note - Socks will be delivered to you by May 20, 2019. Custom produced in Slovakia. Official 2019 Planet Hockey Custom Super Socks can be ordered alone or with a Custom Super Jersey. Limited Limited quantities. 20% off. * Approx. 30% of all campers will purchase Custom Super Socks. Sizing information above is approximate and is factored for players in their hockey gear. Note - Shorts will be delivered to you by May 20, 2019. Custom produced in Slovakia. * Our most popular sportswear item. Shorts Size Approx. Level Wt (lbs) Approx. Knitted Planet Hockey Big Foot pom pom beanie. 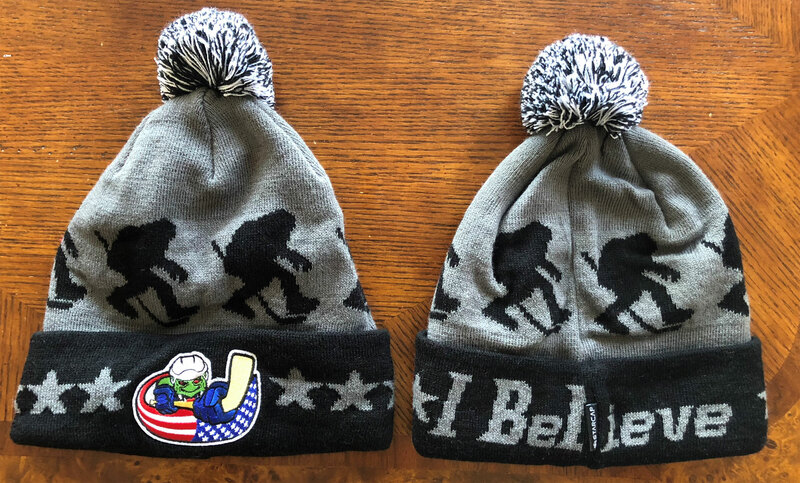 Embroidered with Planet Hockey logo surrounded by woven stars and the text 'I Believe'. Stay warm in style with our post popular winter hat! 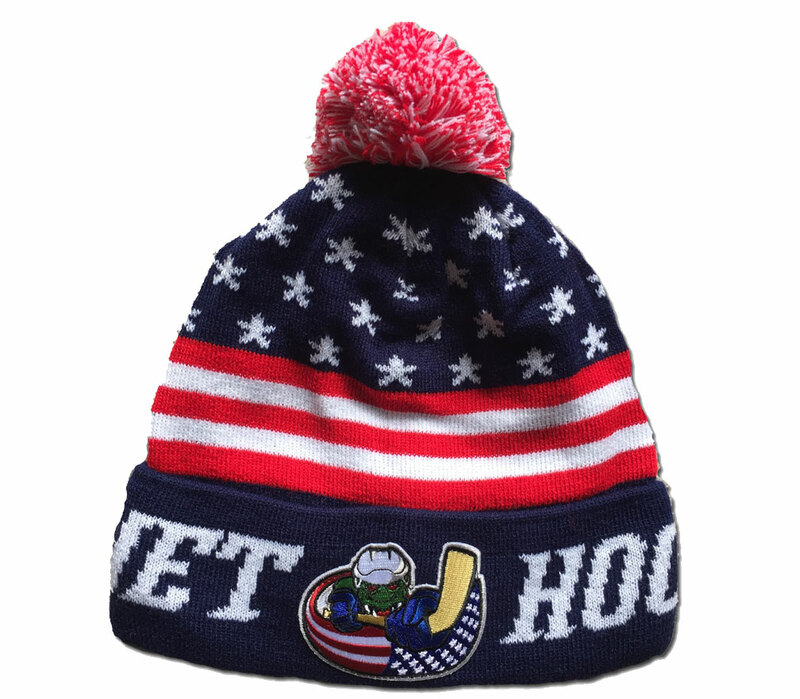 Knitted Planet Hockey patriotic American flag beanie. Embroidered with Planet Hockey logo surrounded by woven text 'Planet Hockey'. Stay warm in style! 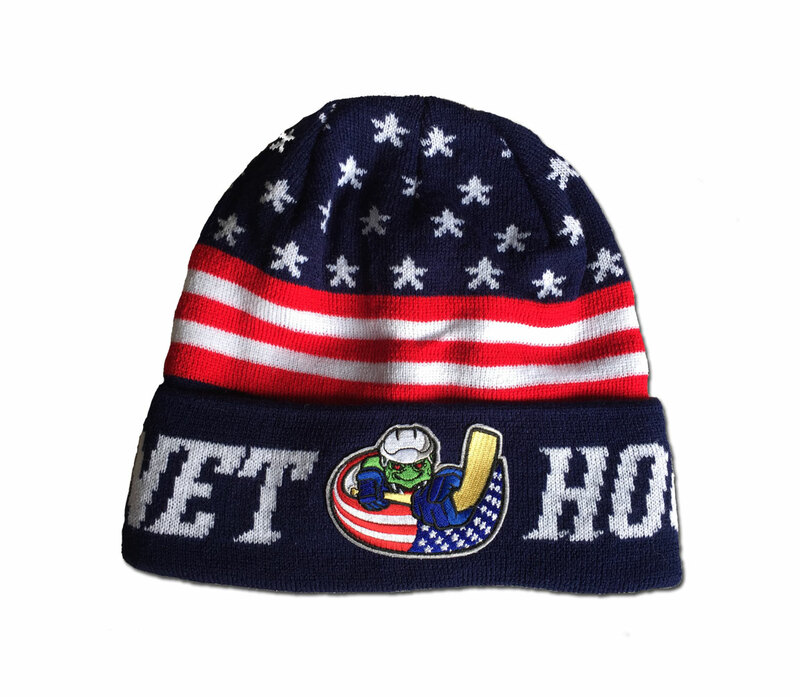 Knitted Planet Hockey patriotic American flag pom pom beanie. Embroidered with Planet Hockey logo surrounded by woven text 'Planet Hockey'. Stay warm in style!